This week, Sony and Netflix announced that Netflix instant viewing will soon be supported on the PS3 game console. Our reaction? Fina-friggin-ly! The Xbox 360 has supported Netflix instant viewing for quite some time, but PS3 gamers have been left out in the cold until now. 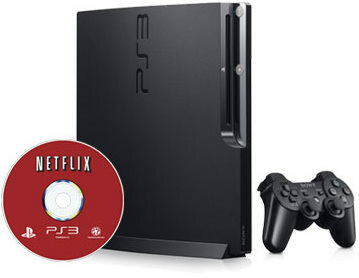 Netflix for PS3 launches in November and will initially require users to insert a special disc into their PS3 console. Long term, support for Netflix instant viewing will be embedded directly into the PS3 system software via a firmware update. The launch date on the embedded support has not been announced.